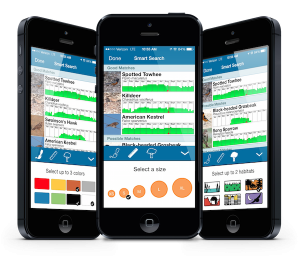 It can be intimidating to jump into a new unknown group of species, but with the Dragonfly ID app, and some good guides, you should be off to a great start. Check out the links below for some great guides to get you started on the path to learning about the interesting dragonflies and damselflies you encounter. Dennis Paulson’s Dragonflies and Damselflies of the East is a great all-in-one guide to the 336 species in the eastern United States and Canada. The book contains helpful illustrations of the anatomical parts necessary for identification, in addition to large color photographs of each species. Also included is a glossary and index for quick navigation. Especially useful is the natural history section, which notes each species’ unique behavior for better identification. The companion to the eastern edition, Dennis Paulson’s guide features all 348 species of dragonfly and damselfly west of the Mississippi River. The book contains large color photographs of both males and females for each species, in addition to the standard species description, identification tips, habitat, and range. Like the eastern version, it has a section on odes natural history, with detailed notes on the unique behavior of each species. Dragonfly lovers of the south-central United States now have a guide all their own. This comprehensive tome includes the 263 species of dragonflies and damselflies that inhabit Texas, Louisiana, Arkansas, Oklahoma, and New Mexico. Covering more than half of North America’s species, it’s also useful outside of the south-central states. Entomologist John Abbott’s weighty guide is for serious enthusiasts, and includes a checklist, large bibliography, and helpful range maps. Getting up close to identify flighty dragonflies can be difficult, so binoculars are an indispensible tool to help pinpoint a species from afar. In addition to the standard identification information, Dragonflies through Binoculars offers advice on different types of optics, and how to best use them to identify dragonflies. Dunkle, a biologist at Collin County Community College in Texas, also includes tips on where to find dragonflies. The guide’s index doubles as a built-in checklist for enthusiasts to keep track of species they have spotted. Lightweight and portable, this guide can fit in a pocket or daypack for use in the field. The opening pages provide general information about dragonfly biology, and give tips on what to look for to aid identification. Species are organized into like groups, with a checklist in front to point readers in the right section. Although it doesn’t cover every species, this book is a perfect introductory guide to dragonfly and damselfly identification. If your interest extends to damsels, not dragons, Damselflies of the Northeast: A Guide to the Species of Eastern Canada & the Northeastern United States is your go-to guide. An artist and authority on odes, Ed Lam’s illustrations are both beautiful and extremely useful. Experts will enjoy the wealth of technical detail, while beginners will appreciate the tips to distinguish between similar species. Helpfully, Lam notes if a species can be identified in the field, or if capture and up-close inspection are optimal to pinpoint a species. Covering southeastern species found north of Florida, naturalist Giff Beaton’s guide is perfect for dragonfly enthusiasts living in Georgia and neighboring states. The text covers the 150 most common species in the region, many of which are found in the Mid-Atlantic States and Florida as well. Large color photographs make for easy identification, and the guide also includes information on flight seasons, range, similar species, habitat, and behavior. Naturalist Kathy Bigg’s beginner-friendly book covers the 113 species of dragonflies and damselflies of California. The guide features a bold line showing the length of each species, to help compare dragonflies of different sizes. Color photographs of both males and females are included. The descriptions are detailed but succinct, so it’s light enough to carry into the outdoors. Beginners will also appreciate the explanations of technical terms included in the glossary. 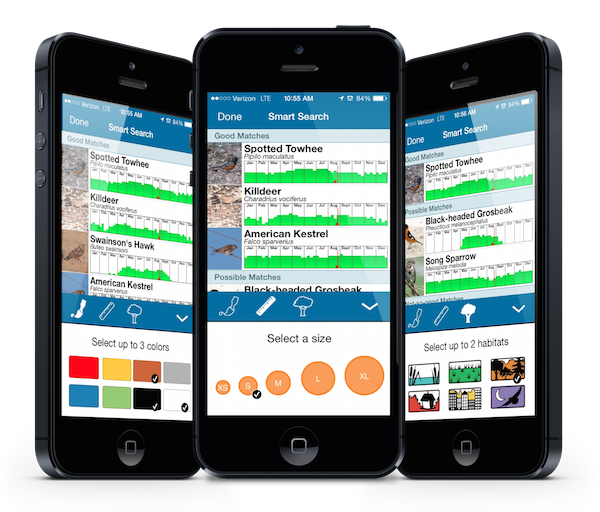 BirdsEye is the best app to see what birds are being seen around you. 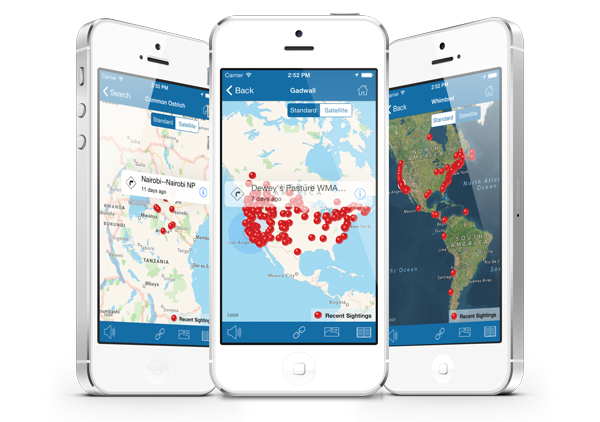 Make sure to check in regularly with BirdsEye to see what’s being seen near your regular hotspots, or explore distant areas to plan birding stops on your next outing, vacation or business trip. The two main views for checking on sightings are the maps view and the abundance charts. This view is straight forward and provides all sightings of a species with eBird reports from the past 30 days. You can zoom and pan the maps to search a broader area or for a more close up view. Abundance Charts provide bar graphs that show how frequently a species is reported based on the Filter settings for that location. Only those species within the time and distance settings are shown in the list. Fil ters allow you to customize the search by proximity to your location and how recently the sightings were made. You can change the search distance, miles or kilometers, and the timeframe. Focus in on just the birds that have been reported a single park, or all sightings within 50 miles or kilometers. Tap the filter icon in the top right of the BirdsEye screen to make the adjustments. This is perhaps the most powerful feature of BirdsEye. Under ‘Nearby Birds’ tap the funnel icon in the upper right of the screen. Drag the ‘Distance to search’ slider to the appropriate range you want to view. Select the ‘Search Timeframe’ for the sightings. 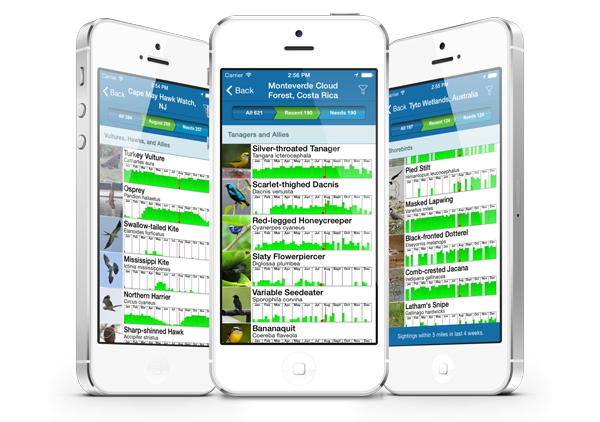 the ‘Current Month’ (iOS member feature) tab provides a view of all birds reported over the past 9 years or so. This option is especially useful when you are birding in a location that doesn’t have a lot of recent eBird reports. the ‘Select Months’ (iOS member feature) view also shows sightings for the past 9 years, but only for the specific months you select. Tap the month(s) to select the ones you want sightings for. A green checkmark will show to the right for each month selected. You can select as many months as you want the data for. Perfect for planning trips! 4. Once you’ve adjusted the filters to your liking, tap on ‘Save’ in the upper right of your BirdsEye screen. 5. The species list is now filtered according to your date and range settings, and each chart shows the birds abundance based not the same choices. You will see your current filter settings summarized in the blue bar on the bottom of the screen. These settings are maintained until the next time you make adjustments to them. PRO TIP – When you are traveling to areas with few eBird reports, change the distance in the filter settings to 50 miles. This will combine the sightings for a larger area and give you a better idea of the birdlife in the general area. This is a great way to check the exact location of the CBC boundary while you are in the field. 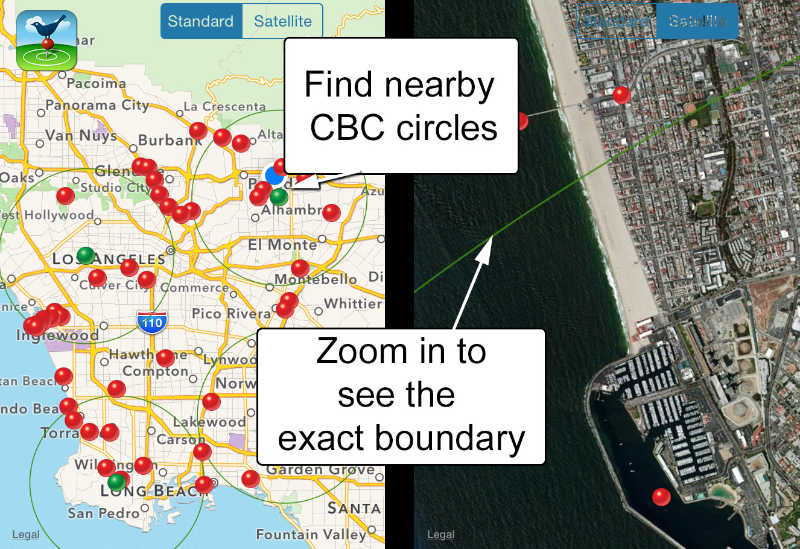 Using latitude and longitude data from each CBC circle, BirdsEye iOS also shows the exact boundaries for each count. This is great for when you are actually out in the field and want to know how far you can go and still count the birds. Publicly-available data about CBC circles is not always accurate, so if your favorite CBC circle isn’t showing up in the right location, please send us the correct lat/lng and we will fix it. Just email us at support@getbirdseye.com.